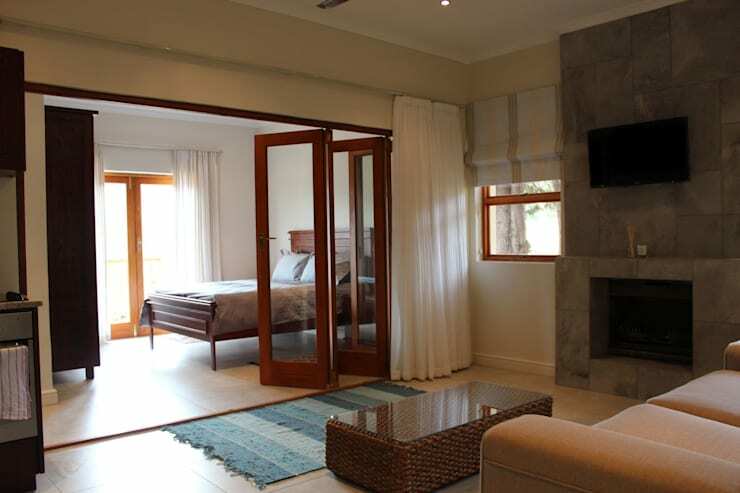 Nicknamed Nooidgedacht Farm, this classic, cosy Cape Town has been renovated from a run down, country-bumpkin shack to stylish and sophisticated guest houses. 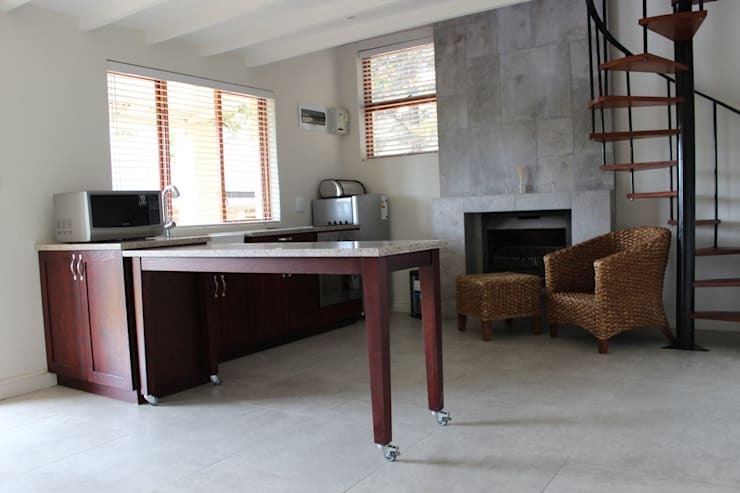 Decorated by Cape Town designers Covet Design, this design shows how simple and elegant decor can be. Sometimes less truly is more. We also have a real treat for you, where at the end of this article, we will show you some before and after photographs of the architecture. You won't believe the difference! In this image, we can see how beautiful and stylish the country design is. The cream facade and the grey roof is very serene and soothing, working in harmony with the surrounding design. 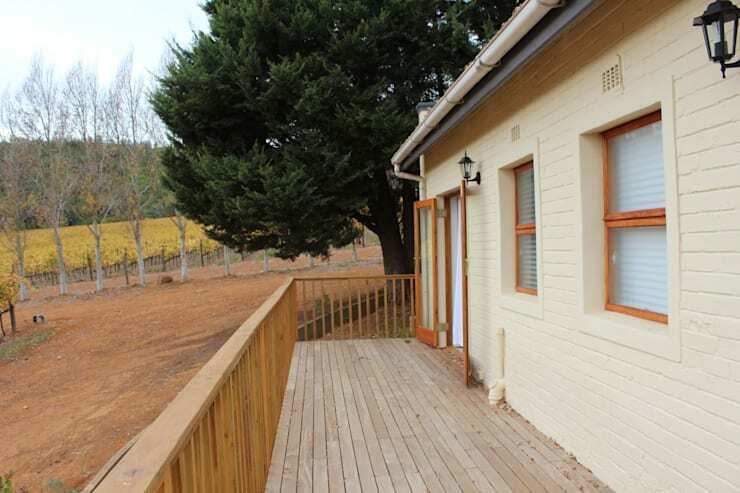 The home features a beautiful old-school wrap-around patio, which allows for panoramic views of the surrounds. Don't you love the beautiful big oak tress that are scattered around the home? 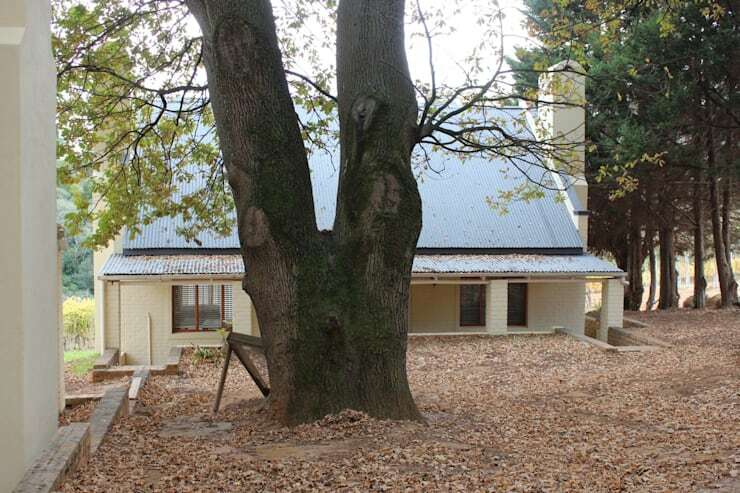 Here we can see the entrance to the home, which features a beautiful and large oak tree. There is plenty of space for the kids to play and the family to spend time in the great outdoors with plenty of shade. Here we can also see the traditional shape of the home. While it has been renovated, it still carries that old-school charm. We can see that the wrap-around patio extends right around the house. In this image, we can see how the home features an open plan design, with glass sliding doors that separate the living room from the bedroom. This creates a very spacious look and feel as well as an interactive environment. When guests want privacy, they simply close the curtains and/or the sliding doors between the living room and the bedroom. We can immediately see that the designers have gone for simple colours and neutral tones, maintaining that country-style simplicity throughout. 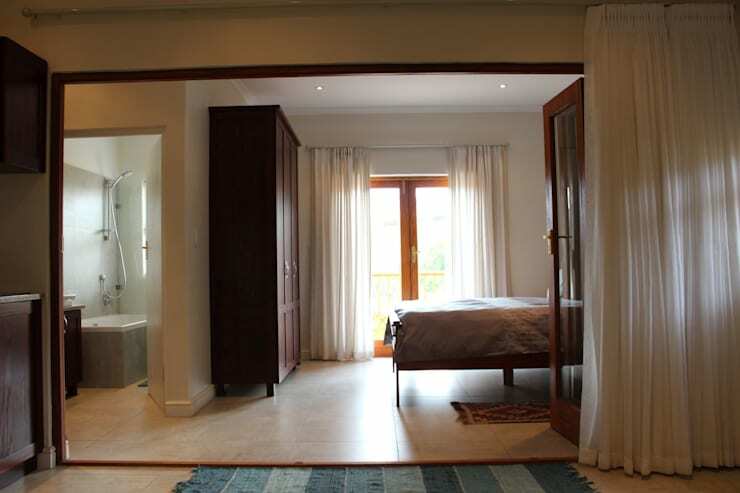 The bedroom flows onto a little bathroom area, while large glass doors connect the sleeping area to the outdoors. This creates a constant connection between nature and the interior space. Another advantage to large glass doors like this is that they allow natural light to flood the interior space. This makes for a very cosy, refreshing and bright environment. The wooden bed post and closet in the bedroom add a touch of traditional beauty to the room. The small bathroom is a wonderful example of how you can make the absolute most of space in a small room. 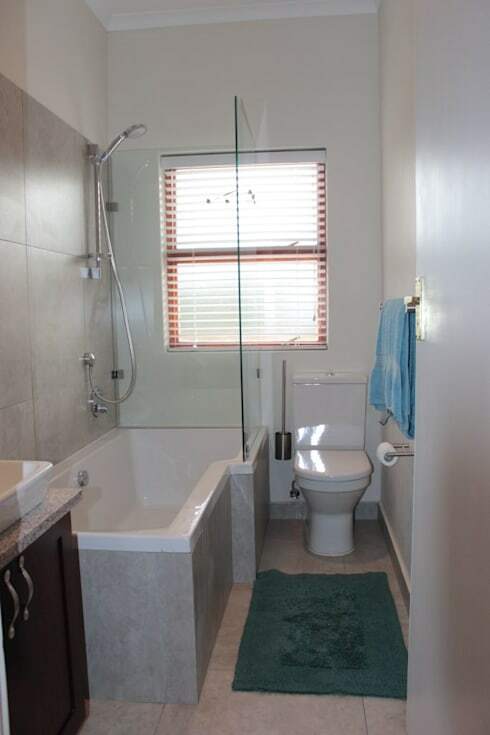 The bath doubles up as a shower while the toilet is tucked neatly in the corner. Underneath the sink, there is a cabinet where personal items such as toothpaste and shampoo can be stored neatly out of sight. Tip: Add a mat to your bathroom floor so you don't slip when you get out of the shower or the bath! Speaking of adequate storage, the kitchen is another area of the home where this is very important! Here we can see how cupboards, drawers and shelves have been installed throughout the kitchen, including on the walls. This makes the absolute most of vertical space. 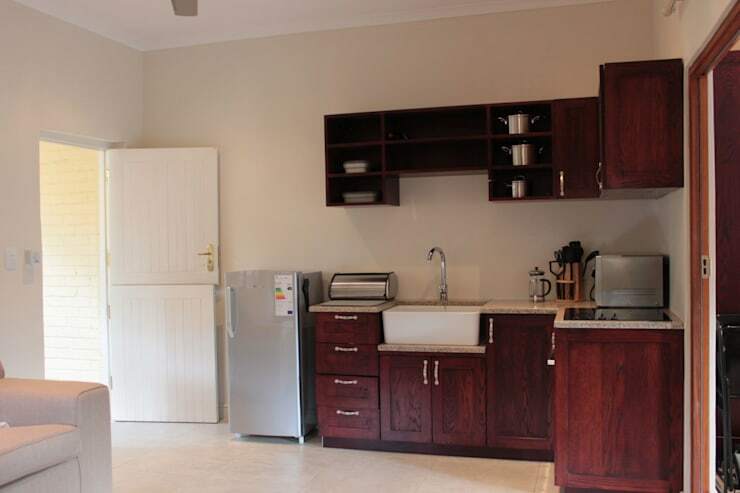 Adequate storage in the kitchen means clean counters and an organised environment. In this kitchen, we can see how a little bar extends across it, subtly separating the cooking area from the rest of the living space. This is a great tip and it adds an extra surface area for cooking and preparing food. Once again we can see how natural light flows in through the large glass windows and doors, creating a very appealing environment. Tip: If you are trying to save space, opt for spiral staircases. Have a look at these awesome spiral staircases designs. This little terrace offers elevated views of the surrounds, while creating an area for relaxing and soaking up the sun. All that's missing is some fabulous terrace furniture. Have a look at 7 ideas for a perfect terrace for inspiration for your own home. Here we can see how cramped and old-fashioned became light and spacious. From uninhabitable to sophisticated and modern. 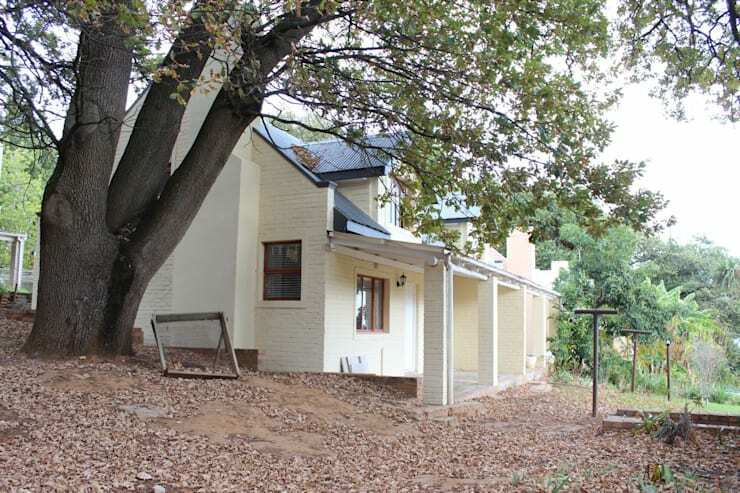 This home has transformed from a shack into a beautiful country house! Also have a look at this country style house we can all get inspired by. What do you think of this country home? 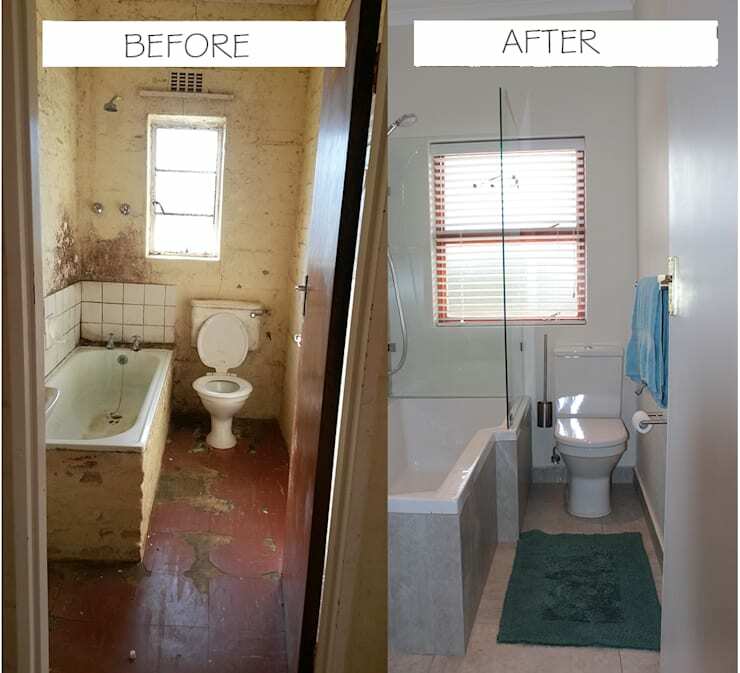 Are you impressed with the reno?